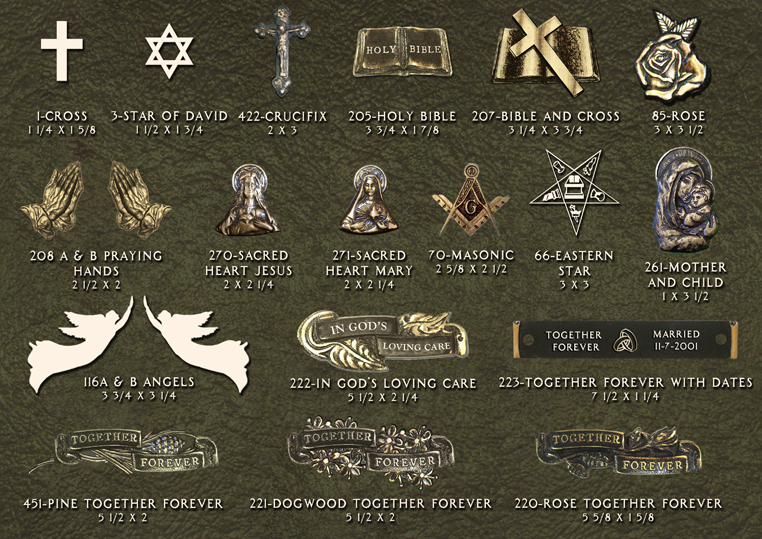 Below are some of our most frequently ordered standard emblems. We have many more to choose from. Please view the galleries below or contact us for a quote on your particular symbol. Government/Military, Animals, Transportation, Flowers, and Misc.